Effective airflow management doesn’t simply begin and end with flooring panels. Blanking panels are an affordable way to prevent hot and cold air from mixing and ensure cold air stays at the front of the server cabinets where it belongs. 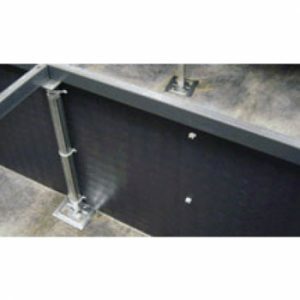 Our plenum panels help redirect cool air through underfloor environments. A proven, cost effective way to maintain proper airflow in your server racks. Manage and direct airflow throughout your underfloor plenum space.